My business partner, Ted Thompson, is based in Woodinville, Washington. I am in Indianapolis, Indiana. How did we meet? 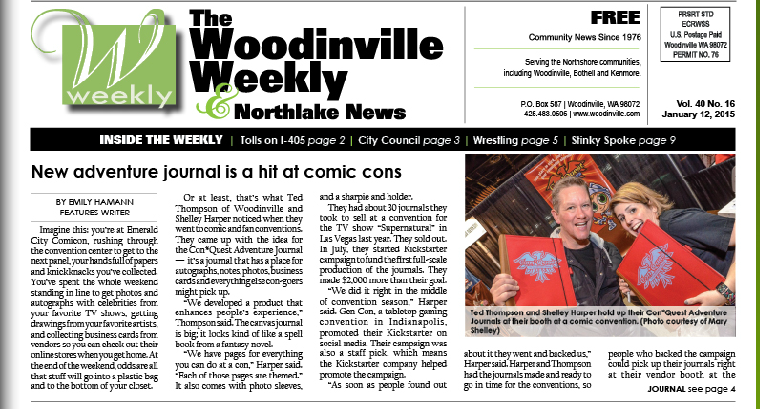 Woodinville Weekly has all of the scoop in a recent interview with us! 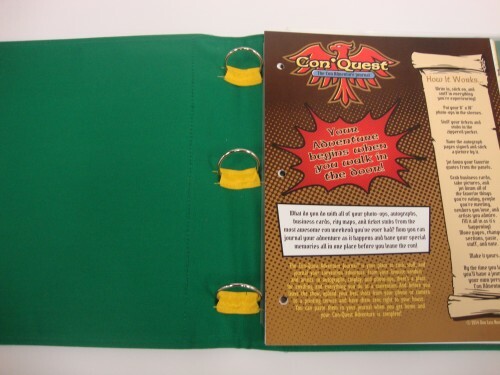 How did we start, why are we working together and what’s next for our Con*Quest Journals. Read it here! We are kicking off our 2015 convention season in Portland in less than two weeks and we are PSYCHED! For the first time since launching our journals, we have created a very limited edition Show Exclusive version of our Con*Quest Adventure Journal. 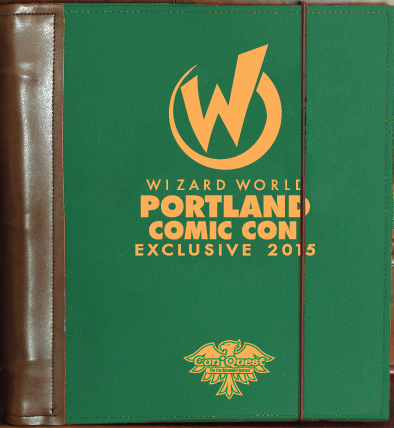 Our Wizard World Portland Comic Con Show Exclusive Journal. The WW Portland CC journal has all of the same inside journal pages as our existing book including Autograph Quest, Artist Quest, Cosplay Quest and Panel Quest, 4 plastic sleeves, a business card holder, zipper pouch and Sharpie™. We have used green canvas to cover this special edition, added the Portland Comic Con logo and dated it. We are only producing 50 total for the show! We have made pre-orders available for pick up in our booth, #339 at the show. And when you pre-order the Journal and Tote bag, you save $5 off the at show price! Order Here and have the best place to capture all of the autographs, sketches, cards and mementos from the show!